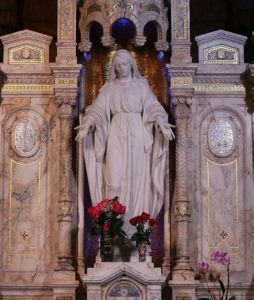 to visit the National Shrine of the Miraculous Medal and the Cathedral Basilica of Saints Peter and Paul. due by Friday, March 15. You can register at the reception desk in the lobby of the Parish House. For more information, please contact Zeny at 718- 672-0596, Princess at 347-850-3558, or Carla at 718-503-4637.